When looking for a comparison of the Macbook vs. PC laptops, it is important to keep in mind that we are not exactly comparing apples to apples here. Such a comparison can be difficult in that the Macbook is a single laptop, manufactured by a single company – Apple. On the other hand, to treat "PC laptops" as a single, homogenous group is complicated by the fact that PC laptops are made by many different manufacturers (Dell, HP, Toshiba, Acer, etc.) and they each run a foreign OS – Microsoft Windows 7. In this article, I will attempt to compare the Apple Macbook to a typical PC notebook, that is, comparing features that most PC laptops have in common. Still, it is good to keep this critical difference between the two groups in mind. A great laptop should always begin with a solid design, even while design so often seems to get the short end of the stick as it were. A beautiful and aesthetically pleasing design helps to ensure two things: First, it has the practical effect of providing a clean, edgy look to a computer. It’s always nice to have your laptop look as sweet as it works. Second, it shows that the manufacturer takes some care in the work they do – that they are not motivated by profit alone, but in making a great product that consumers will love. As far as Macbooks and PC laptops go, this is a difficult category to judge since PC manufacturers all have different designs that are constantly changing. Apple’s aluminum unibody enclosure and glass covered LED display offers a very elegant design presentation to its customers, most people would agree. By contrast, many (but not all) of the PC manufacturers use a cheap and oftentimes poorly finished polycarbonate case that just leave something to be desired. The design on other features, such as Apple’s Magsafe power adapter, with built in magnets that eliminate the need for a M/F pin system and allows for increased prevention of damage due to tripped and pulled cords, is also vastly superior to anything else on the market. When thinking about buying a Macbook vs. a PC laptop, the operating system is an important matter to consider. While Windows 7 is a fantastic upgrade from Windows Vista, I'd still have to give the OS award to Apple for their Mac OS X. There are a few reasons for this. 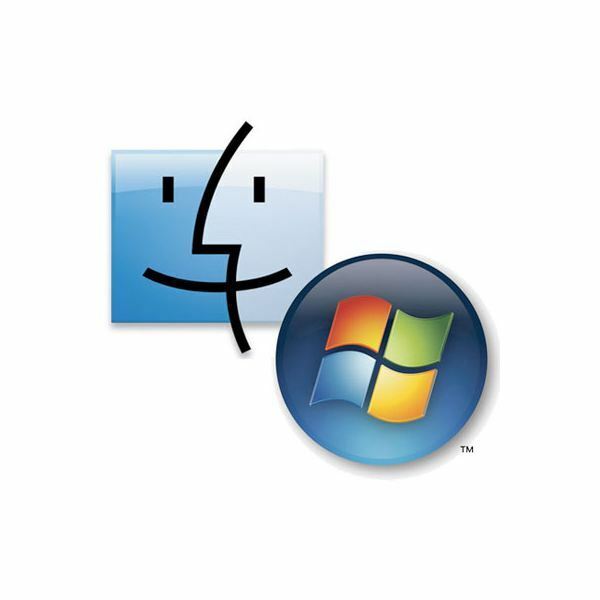 For starters, many of the features that Microsoft tried to integrate (with only a marginal degree of success) in Vista had already been in Mac OS X for years. Apple's OS is constantly on the cutting edge, but there is one major benefit that sets it apart. The Macbook has a tremendous advantage over PC laptops because both their hardware and software are designed and made by the same people, whereas Microsoft has to make their OS for hundreds of PC manufacturers. There are going to be less bugs and compatibility issues with a computer whose hardware and software are both made by the same company – this is a major advantage. The only disadvantage to running Mac OS X is that there is still a lot of software that is made only for Windows, which still controls about 90% of the market. But, this is beginning to change. Also, newer Macbooks can also dual boot Mac OS X and Windows, for those who still need to run certain Windows programs but prefer to do most of their other work in the Mac environment. While both Macbooks and PC laptops are very powerful machines, you have to remember that the Macbook is, essentially, a luxury notebook, while many PC laptops are budget, utilitarian builds. For this reason, you’ll get faster, more powerful specifications for your money buying a PC as opposed to buying a Macbook. If you’re looking for a laptop under, say, $700, you’ll probably need to limit your search to PC laptops – HP and Toshiba offer some great deals at that price where you get a lot for your money. If you are able to spend more than that and want to get rid of some of the headaches of Windows machines, then a Macbook may be a really good option. With the kind of volume that huge PC manufacturer companies do, like Dell and HP, they are able to offer something like 8GB of RAM for next to nothing, while that upgrade on a Macbook is going to cost you. For the most part, Apple doesn’t put trial software on their Macbooks. They put full versions of some of their best entertainment and arts software, such as iLife, on all of their computers. iLife includes a powerful photo management and editing program, video editing, music editing, and website design program. All are very easy to use and fairly powerful. On the flip side, most PC laptops come lit a whole list of trial software that expires after so many days or uses. Half of the software is just crap that no one would ever use, and the other half that is decent is only usable for a little bit. So, that is more money to shell out for additional software. Also, with a PC laptop, plan on spending about $40-60 a year on anti-virus/anti-spyware software. Macbook users oftentimes don’t use this extra protection, for reasons listed in other articles. This is a major savings over the course of a computer’s life (of even your life!). While the reliability and customer service really vary from company to company in the PC laptop market, Apple has had a consistent recent history of excellence in their reliability and customer service rankings. I can’t remember a time when I didn’t pick up a Consumer Reports magazine and didn’t see Apple at either the #1 spot or within the top three in both of these categories. Their customer support based in California is fantastic – so much better than Dell’s "service" for the record – and the Macbooks themselves are made of superior parts; why they tend to cost a bit more. Even compared against the best PC manufacturers, like IBM and Toshiba, I think you’ll find Apple’s rate of warranty and non-warranty hardware failures to be much lower than the industry standard, certainly infinitely better than a company like Dell who seems to have had no qualms about selling computers that have a 97% chance of failure within three years in one line. I could never see Apple doing something as unethical as that. Overall, I think that the Macbook is generally the best way to go, if you can afford it. While it is generally more expensive, they have numerous practical benefits which make them a better deal. Obviously, I’m biased here towards Macs, partially because of the five years I spent as a PC repair technician, but the best advice would be to go to an Apple Store or an electronics retail chain and just play around with the computers to see which ones suit your needs best. While this article has not been a comprehensive look at the differences between these two categories of computers, hopefully it has given you some sense of some important issues to consider when making a laptop decision.